Proper nutrition and working out is the key to weight loss and a healthy lifestyle. Along with that, there are certainly other factors that contribute to weight loss and play an important part in the weight-loss process. Simple exercises and conventional diets do not always work for every individual as a long-term solution. Essential oils can be of great help where weight loss is concerned. Essential oils are known to have several health benefits; they are derived from the roots, seeds, flowers, leaves, and fruits of the plants. People who find it difficult to lose weight due to lack of consistent motivation, cravings for food, poor digestion, dietary fatigue, etc. can use essential oils as the solution for their weight-loss problems. Here, we have mentioned some of the essential oils that can help support your weight loss. Grapefruit oil contains compounds that work with the body to produce enzymes, which help the body to breakdown fats. Grapefruit is already considered to be a weight-loss fruit, and the essential oil that comes from the grapefruit peel adds to this. The grapefruit peel consists of compounds such as D-limonene and nootkatone, which aids to support the metabolism and also helps in the cleansing and drainage of the lymphatic glands. Grapefruit oil activates the enzymes in our saliva that helps to break down fats in our bodies. Therefore, it is considered to be the best oil as far as fat burning and weight loss is concerned. Add a few drops of grapefruit oil to one glass of water; you can diffuse it to inhale at your office or home. Another method is to massage it into your wrists and chest to avoid food cravings. We all are aware of the fact that citrus fruits support weight loss. Lemon oil is also known as a weight loss management product, as it contains compounds that dissolve fats. Lemon also includes the compound called limonene, which works effectively as a fat-dissolving agent. Lipolysis, another ingredient of lemon oil, also plays an important part in the weight-loss process. It helps in the breakdown of stored fats and synthesis of protein. Lemon essential oil also acts as a healing agent; hence, it helps with muscle recovery after workouts and prevents soreness and fatigue (major reasons for quitting workouts). Diffusing lemon oil in the air helps to elevate mood and fight depression.Add two drops of lemon oil to water and drink three times per day to support metabolism and weight loss. Being motivated and calm when following a weight-loss regime is the key to successful weight-loss management. Peppermint essential oils play an important role where being calm and avoiding mood swings are concerned. Menthol forms a major part of peppermint oil (around 70%). It works perfectly to reduce bloating and also helps in maintaining digestive flow. Peppermint oil naturally suppresses your appetite and gives the feeling of satiety. This makes it a necessary essential oil in a weight-loss diet. Inhaling peppermint oil acts effectively against food cravings and hunger. While working out, you can apply it on your wrists and chest. Cinnamon has already been a part of several weight-loss diets. What most people are unaware of is the weight-loss benefits that cinnamon essential oil can provide them. The fact that cinnamon oil aids anti-insulin resistance means that it works effectively toward weight loss. Insulin is needed to break down fats and carbs. At times, when the body starts resisting insulin levels, it starts storing fats. Cinnamon oil promotes insulin-building cells in our bodies, which prevents fat accumulation and regulates blood pressure and blood sugar levels. Cinnamon oil can be inhaled by adding a few drops of the oil on cotton balls, and slowly breathing it before meals can reduce your cravings. It will prevent you from gaining weight due to overeating. Another effective essential oil for weight loss is fennel essential oil, which is prepared from the distillation of steamed fennel seeds. People tend to gain weight when they eat poorly; however, there are several other reasons why individuals build up weight. Sound mentality and proper brain functions are just as important as working out. Fennel oil is known as a source of melatonin. 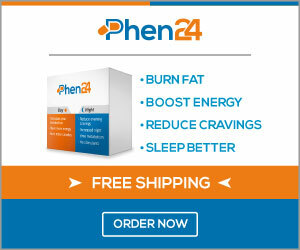 Melatonin is a compound that helps to reduce weight gain. It also prevents the storage of bad fat and only creates good or brown fat, which is converted to energy. Fennel seeds are often used as an appetite suppressant, which supports weight loss. Aromatherapy with fennel oil works best for weight loss. By inhaling fennel oil, you are less likely to consume more calories. Ginger oil also makes the list of essential oils that help weight loss. Ginger essential oil works effectively because it helps to reduce sugar cravings and also works against inflammation in the body. Along with working against inflammation, ginger oil also aids proper digestion and nutrient absorption. This makes it the weight-loss essential oil. Also, it contains gingerol, which provides several health benefits to our bodies, such as reducing disease-causing inflammation. The best way to use ginger oil is by adding 1-2 drops in your morning tea. It helps to boost metabolism. One of the best weight-loss-friendly fats available throughout the world is coconut essential oil. It contains fatty acids that help boost metabolism. Coconut oil is thermogenic, meaning that as you consume it, more fats burn and get converted into energy. Coconut oil consists of medium-chain fatty acids, which are known to reduce appetite. This also promotes consumption of fewer calories. Along with that, coconut also works effectively against belly fat in the abdominal area, which also prevents various diseases. Coconut oil has fat-burning potential, especially for losing belly fat. Also, consuming two to three servings of coconut oil daily will help you to feel fuller and avoid eating heavy meals. Being in the right state of mind is very important when you are working toward weight loss. Lavender essential oil gives a feeling of calmness, prevents nervous exhaustion, and also promotes mental activity. Lavender essential oil is important for weight loss because it supports digestion, relieves stress, and ensures proper sleep. Studies show that just the smell of lavender oil can affect the nerve impulses extensively, which can lead to burned fats and reduced appetite. Lavender oil is more of a calming liquid.Inhaling it while meditating and working out relieves stress. It is also used in combination with another essential oil to get the best results. Bergamot essential oil is fragrant fruit oil. It can work wonders were fat reduction and boosting metabolism are concerned. It is found that people tend to eat more when they are under stress and anxiety. Bergamot oil acts as a stress reliever, which prevents emotional eating. The scent of bergamot oil itself can help you to relax and keep your spirits high; this helps you to avoid eating when you are not actually hungry. It was also found that individuals who inhaled bergamot oil had lower cortisol levels. To get the best result for weight loss, you can add a few drops of the oil with one teaspoon of honey and drink it with a glass of coconut milk every day. We have already discussed above how citrus fruits play an important role in weight loss. Lime has shown great results toward weight loss. Lime oil is not only helpful for weight loss; it also prevents weight gain. It was also found that lime essential oil works effectively against medicine-induced obesity, which is helpful for people who gained weight after being on prescription medication. Lime oil is an important ingredient in weight loss. Lime oil is often used as a dressing for fresh fruit, which is the easiest application of lime essential oil. Use it in food recipes and diffusion blends to make the most of this essential oil. Cardamom essential oil has been used traditionally as a weight-control ingredient due to the gastro-protective effects that cardamom has to offer. Cardamom oils also protect our stomachs from any kind of damage. What you eat and how it is processed in your body is the key to weight loss and weight control. Cardamom oil helps promote the digestive system.This enhances fat absorption nutrients. It also helps to get rid of toxic materials from the body, which leads to burning fat into energy and, in turn, aids weight loss. Cardamom oil can be used as a part of the daily health regime; this helps you with the gastrointestinal function. It can be used while preparing your diet food or for internal use.You can consume 1-2 drops, which is enough. Tangerine is a citrus fruit found to be very helpful for effective weight loss. Stress and emotional eating are the most influential reasons for weight gain. Tangerine oil helps to increase metabolism, relieves stress, and reduces anxiety and stress. Tangerine oil is used by combining it with either bergamot oil or lavender oil to get the best results for weight loss. It can be applied topically as a massage oil; this helps counter cellulite. For individuals who are looking for a supplement to add to their healthy diet and workout regime, they can use the above essential oils to shed the extra amount of fats. As the essential oils are extracted from plant extracts, you must take proper precautions before using them. Also, if you have applied any of the oil on your body, avoid going out in the sun to prevent any adverse effects on your skin.